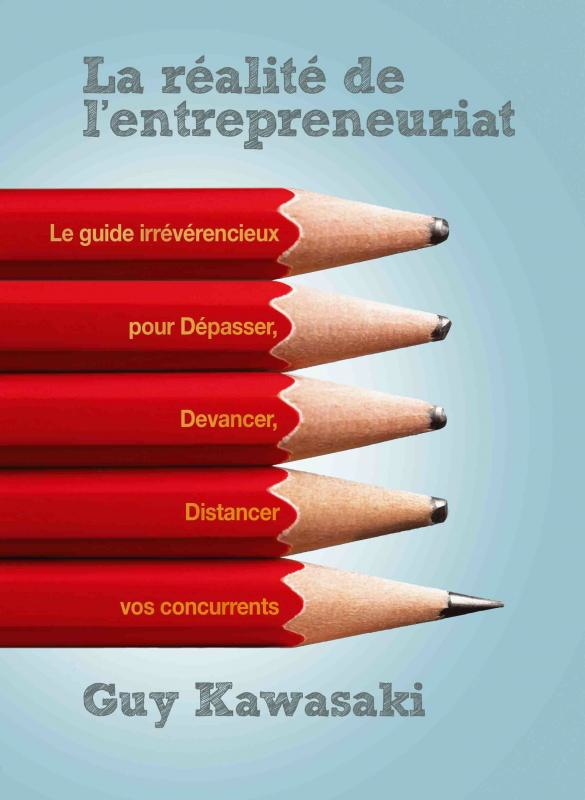 I recently finished translating Guy’s new book, Reality Check, into French. 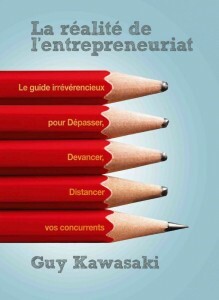 It will be sold as La réalité de l’entrepreneuriat at the end of March, and is published by the Editions Diateino. It is when you translate a book that you best realize that there is a lot to it. It is also a significant task as you can very well imagine, but I look at it as my “community service” for French entrepreneurs. Even if most of them read English, it is often easier to remember key messages in one’s native tongue. And it’s so pleasurable to see Guy, himself, in every single page! Let’s call this the charm of infinite recursion. Many people write books to promote themselves and end up projecting a public persona that significantly differs from who they actually are. But Guy is Guy ☺ and this book the scintillating mirror of the person he is, a DICEE person, almost in the same fashion as he speaks of DICEE product. Deep: Because of his exceptional observation skills (and memory), Guy has amassed an amazing experience – and is a jim-dandy (should I say, a guy-dandy?) of a correspondent and commentator of the Silicon Valley’s habits and fauna. Yet, this experience always converges towards one single goal: making meaning. Each of his books tells you of great people and great products. Intelligent. Who had the idea of providing an easy-to-use vade-mecum to entrepreneurs before Guy? Nobody really. There are lots of great books on specific business aspects, but Guy had the charisma to stage all the do’s and don’ts in start-ups so clearly that entrepreneurs immediately understand that they have to go back to the drawing board (and to their PowerPoint), learn how to tell their story, and get to the bottom of things: does what I want to do “make meaning”? Guy’s personal mantra is to help entrepreneurs. Complete. Guy is more than a great writer. A great speaker. A great blogger. A great twitterer. Are there so many Siliconites able to claim that if he twittered that he is flying to Istanbul, he would have a group of twenty people to talk to immediately? And in all circumstances, he is truthful. As famous as he is for being the Macintosh evangelist, he is also proud to remind people that Mike Boich was the first one and Alain Rossmann the third. He is immensely dedicated to assisting his friends as they go through terrible ordeals. And have you noticed his dedication to his four children and his wife? Elegant. Guy’s interface is truly elegant. He is accessible. You don’t need multiple introductions to meet with him. It’s extremely easy to speak to him, because he likes to listen to people and sincerely cares about them. He is even too polite with the people who make a living… but would like him to speak for free. Incidentally, he is also quite elegant sartorially, as elegance is not simply the narcissist act of dressing well, but of dressing appropriately and in a way that does not distort interaction with people. But maybe he is more than a DICEE person: He has a lot of humor, he is humble, he has no problem speaking about his mistakes, he is open to innovation, etc., and he has an incredible smile. Anyway, I like Guy. I was lucky enough to meet him for the first time in 1985. I did not know that he was so venerated in the Macintosh because I was coming from France – and I am glad because his “importance” did not distort my perception of him. I simply liked him because of what I saw of him (so much so that I hired him for the start-up I founded in 1987). So don’t ask me to tell you what his negatives are. I don’t know and I don’t think of the people I like in terms of pluses in one column and minuses in another – to make a good balance. Sure great people may have (what could be labeled as) “flaws,” but these alleged flaws are often just another plus. If they are bright, yes, they can be sarcastic when they speak of bozos. What’s wrong with that? If they were always too kind, would they still be bright? Guy is definitely a man to follow. Reality Check is great.